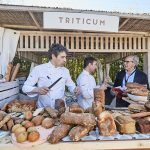 Four chefs of renowned prestige, 24 premium brands from the international gastronomic scene, 14 lectures and over 900 attendees. 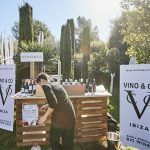 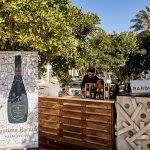 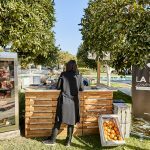 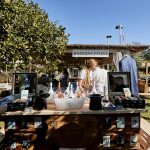 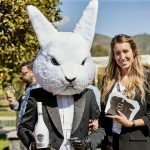 ‘We Are FaceFood Ibiza 2018’, the first International Gastronomic Festival in Ibiza between chefs, restaurateurs, hoteliers and professionals from the HoReCa sector, was held on 9th March. 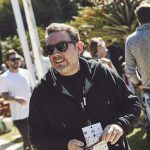 Who are the people behind the companies of the catering industry? 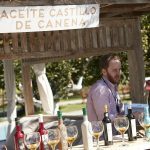 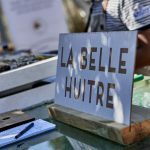 The aim of this event was to “put a face” to the people who work for companies in the gastronomic industry of the Pityuses. 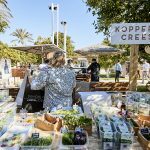 In other words: for members of the “FaceFood Family” to meet each other and give them the opportunity to create new personal and professional relationships, in a relaxed and pleasant atmosphere and also have some fun. 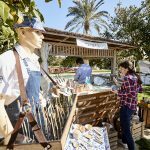 The place chosen was Agroturismo Atzaró. 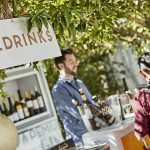 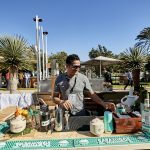 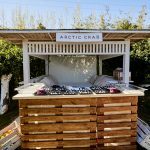 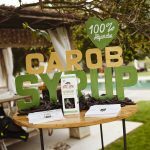 The gardens were filled with wooden stands where premium food and beverage companies invited guests to try their products. 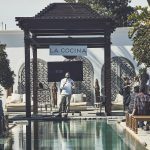 The lectures by four renowned chefs were one of the main attractions of ‘We Are FaceFood Ibiza 2018’: Albert Adrià, Miguel Rocha Vieira, Rafael Zafra and Yayo Daporta were invited to share their own personal experiences and amongst other things, talk about their teams and the quality of the products they use. 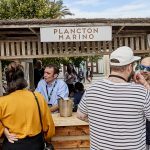 The event also featured lectures by the heads of the most important international brands of the gastronomic industry, such as Estrella Damm (official sponsors of the event), Triticum, Klimer, Caviar Paris 1925, Gran Blau, Plancton Marino, Bidfood, Castillo de Canena, and others. 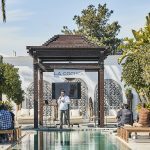 Shortly before 11 am, the guests started to arrive at Agroturismo Atzaró. 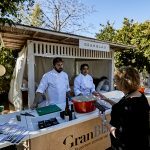 The first lecture of the day, at 11.30, was by Bidfood and Guzmán Gastronomía, about new culinary techniques and applications. 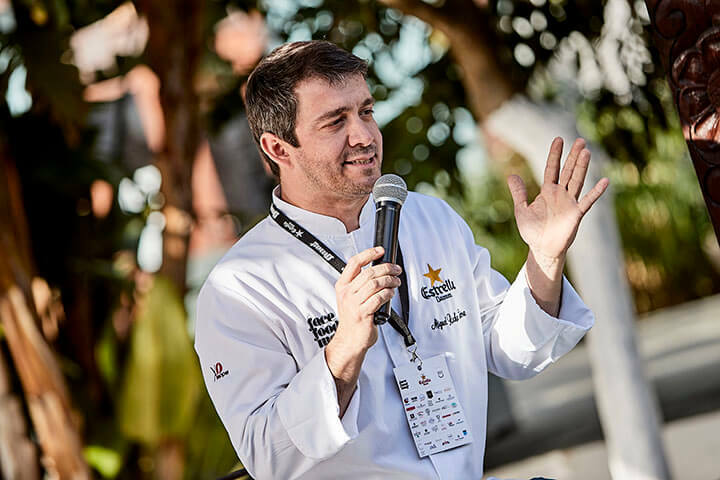 Around 12 noon, the lecture “La cocina tradicional actualizada” (Up-to-date traditional cooking) was given by Yayo Daporta, originally from Pontevedra and chef of the restaurant that bears his name (1 Michelin star), located in the town of Cambados. 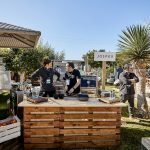 Daporta explained the importance that his upbringing and more specifically, local produce, has had in his kitchen. 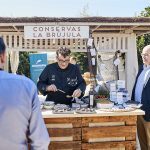 According to him, “being a cook and working in Galicia is the best thing that could ever happen to you,” in terms of quality of Galician products. 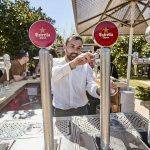 Rubén Forcada, head of marketing for Estrella Damm in the Balearic Islands, followed on from Daporta, giving a brief talk on the close link between his beer and gastronomy. 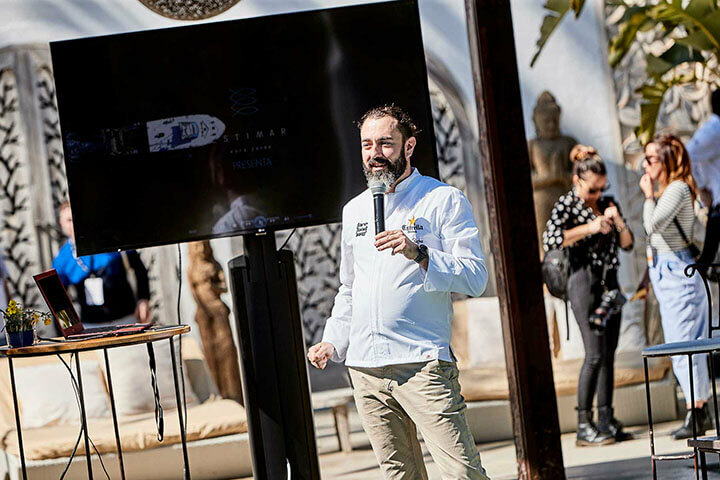 After him, Rafael Zafra from Seville, owner of the restaurant “Estimar” in Barcelona and executive chef of Heart Ibiza, gave a fun lecture where he spoke about the importance of quality products in his cooking and the simplicity of his cuisine. 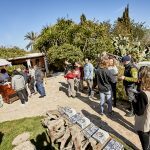 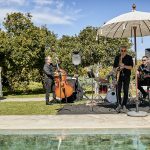 After Zafra’s lecture, it was time for a break, a time for all of those attending to relax and have a great time chatting, eating, drinking and tasting new products, whilst enjoying live jazz music on a sunny day in the beautiful gardens of Agroturismo Atzaró. 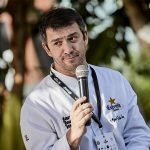 After the break, Miguel Rocha Vieira (the Portuguese chef with the most Michelin stars: three in total) delivered a short lecture called “Portugal, punto de encuentro gastronómico” (Portugal, a gastronomic meeting place), where he spoke about the evolution of Portuguese cuisine in recent years and explained that, even though his country is not yet a gastronomic destination in itself, it is not far from becoming one. 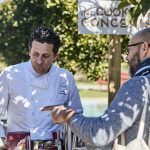 He stated that, “people will start travelling to Portugal to discover its gastronomy when a Portuguese restaurant is given its third Michelin star, and I don’t think it will be too long”. 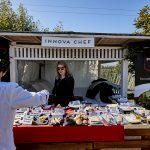 His three Michelin stars were earned in different restaurants, two of them in Budapest. 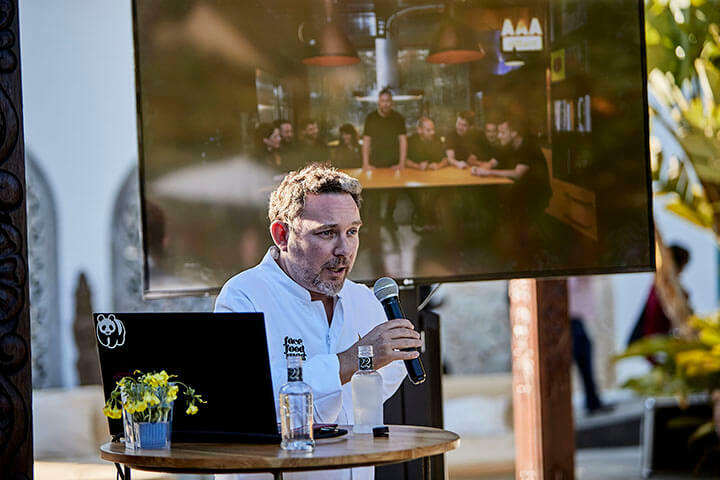 Albert Adrià closed the day with an interesting lecture where he spoke about the most important concept present in all of his restaurants: “his team”. 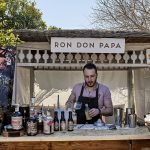 He said that, “if you want to have the best working in your restaurant, you have to pay for them”. 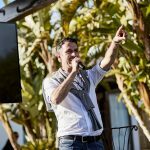 He introduced all of the members of the team that he works with every day and stressed the importance of having a good relationship with them all. 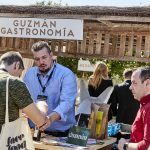 After Adrià’s lecture, the guests were still able to enjoy the gastronomy and the great atmosphere created that day at Atzaró. 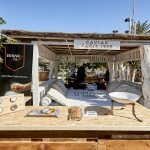 The event came to an end at around 7 pm with special thanks to the speakers, brands and attendees and some ideas for the next ‘We Are FaceFood Ibiza 2019’. 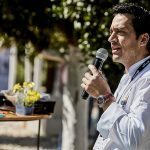 Jesús Trujillo, director of FaceFoodMag, expressed his satisfaction with the success of the event, and explained what led him to this day: “with ‘We Are FaceFood’ we wanted to put into practice the philosophy behind the birth of FaceFoodMag: show who is behind each restaurant and gastronomic brand, because it is the people who give companies their soul”. 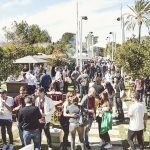 ‘We Are FaceFood Ibiza 2018’ has not only given visibility to these people but has also created a powerful network of contacts between professionals of the sector from and outside the island. 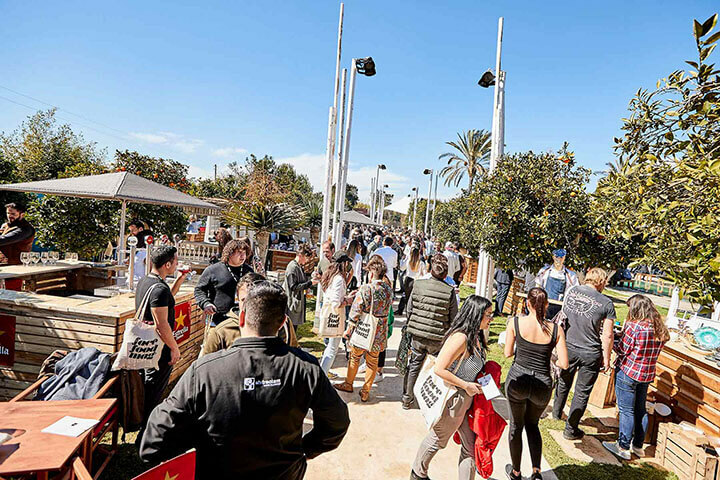 After the great reception of the event, the FaceFoodMag team are already working to bring together chefs, hoteliers, restaurateurs and brands for the next edition of ‘We Are FaceFood’. 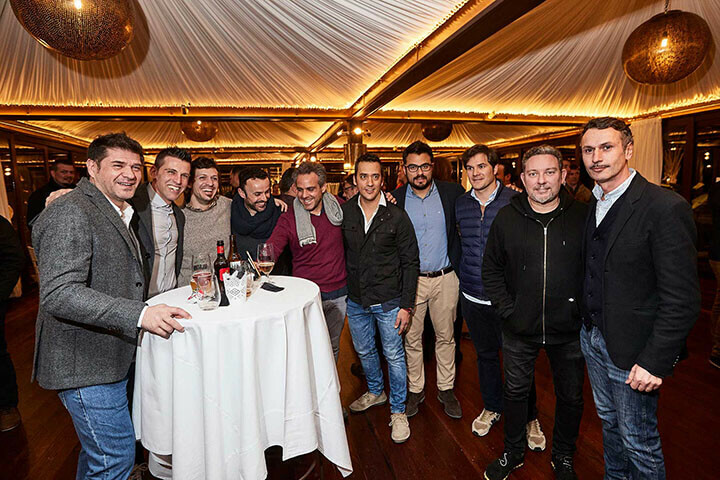 If you want to know more, come and watch the video of the event here.